Winter is a beautiful season, but the cold temperatures can be a little hard on indoor plants. No need to despair, though. There are many varieties of plants that can endure the nippy weather. Winter always promises to again bring higher heating cost to homes and also growers. Some greenhouses I’m sure will close down due to the high fuel cost and others start bracing themselves for fuel bill shock. Some greenhouses and homes as well will be running the inside a little bit cooler during the winter season. 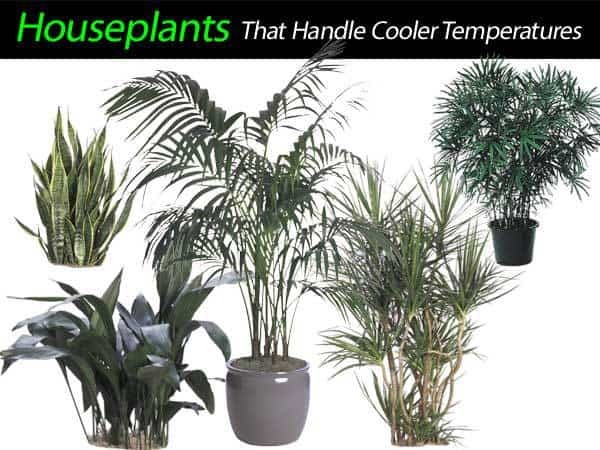 When you decide to lower the temperatures in your home to help decrease monthly heating bills, what about the houseplants. Many people are familiar with the “Corn Plant” – Dracaena Massangeana. During these colder temperatures, the “Corn plant” species can easily have leaf damage – mottled leaves and brown or blackened tips. Dracaena Marginata is one Dracaena that will handle the cooler temperatures. Typically the Massangeana will begin to show leaf burn in the high 50 degree range. The marginata is easy to grow and can generally handle an additional 10 degrees lower. They have cold hardiness USDA zone of 10-12. Cast Iron Plant – Aspidistra elatior is not called the cast iron plant for nothing. The Aspidistra can handle a wide range of temperatures, 70-80’s down into the 30° degrees Fahrenheit range. Rhapis excelsa – The “Lady Palm”, very similar to the temperature range of the Aspidistra. A slow grower but very sturdy. I’ve seen this plant grown outdoors and in a garden where the temperature hits the high 20’s. The plant is a little more expensive because of it’s slow growth, but worth every penny. Kentia Palm – One of the “secrets” of a good quality Kentia is the cooler nights that they receive in California. The cooler nights produce foliage that is sturdy and strong. Indoors they don’t get this same temperature drop, but they can handle it with no problem. Planting these cold hardy and shade-tolerant plants will definitely save you time and cost. You don’t need to heat up your home just to warm the plants, and they can cope up easily. You may still need to provide indirect light to make the green leaves and flowers of these potted plants look healthy, despite the absence of direct sunlight, moist soil and heat. DO NOT USE the Majesty Palm (Majestic Palm or Ravenea rivularis) indoors – Find out WHY! When you lower the temperature in your home, your plants also receive this lower temperature. For you to get warmed up, it’s possible to jump under a blanket. Your plants on the other hand just …… s l o w d o w n.
Your plants will respond slower with growth until things warm up. One night below 65° degrees Fahrenheit equals 3 days of grow time. Two nights below 65° degrees Fahrenheit in a row equals 1 week of grow time. Five nights below 65° degrees Fahrenheit in a row equals 1 month of grow time. What do I mean by – grow time? This is the amount of time it will take for the plant to get back to active growing. People assume that a plant’s activity is based upon the air temperature… that is partly correct. It is the soil temperature that really drives plant growing. So you also need to check the potting mix temperature and their roots to make sure that they are not affected by frost. One way to keep your pot plants growing is by keeping the well-drained soil temperatures up. But that’s a subject for another day… Here’s more on the topic of cooler temperatures and indoor house plants.